I first met Kathy & Jordan when we did their engagement session last October at Taylor's Falls. They told me that they met by coincidence where Kathy grew up in Florida; he says he was planning his vows since their third date. As they grew closer and it became clear that what they had was real, Kathy took a leap of faith and moved out to Minnesota (away from family, friends and everything familiar) to be with him because he was her home. To say that they obviously belong together would be an understatement. He is the yin to her yang - they are the perfect balance together. Jordan helped Kathy survive her first MN winter by taking her ice fishing, helping her dig her car out of ditches and making their house a home. 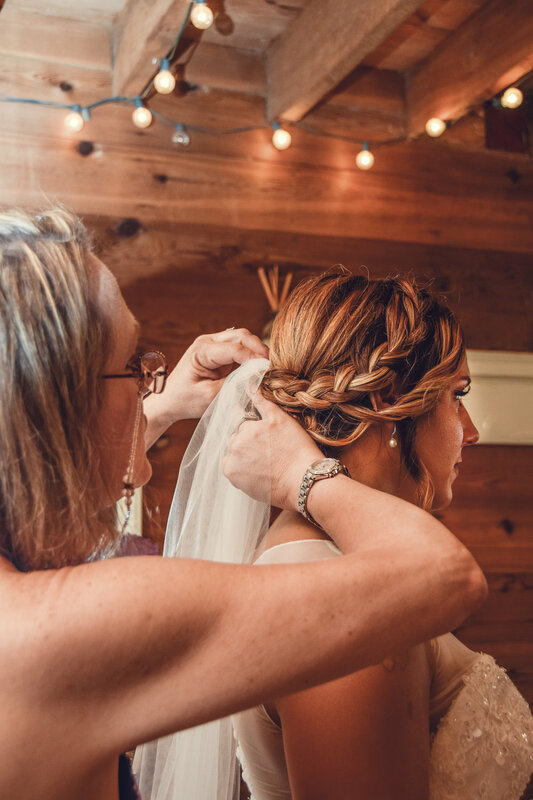 Kathy's family and friends flew out for the wedding and you could feel all of the love surrounding them on their special day. 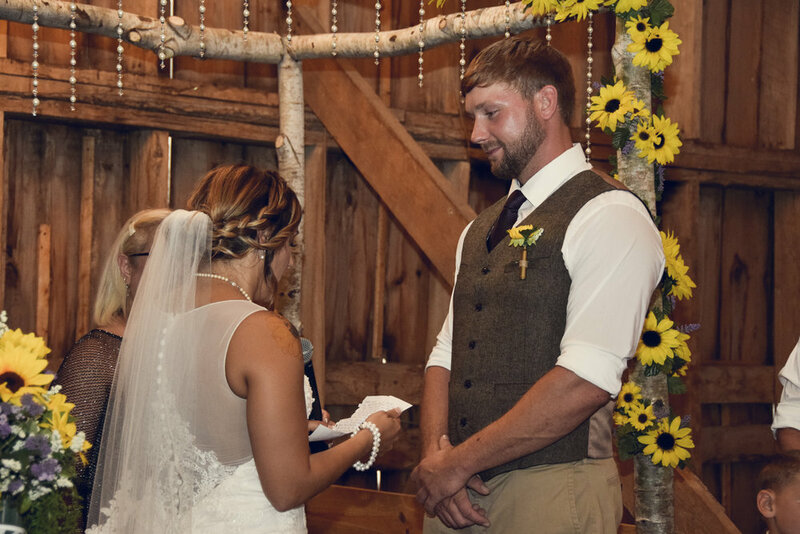 His brother made a very touching speech and her two sisters rapped a very sweet (and hilarious) series of songs for the couple. 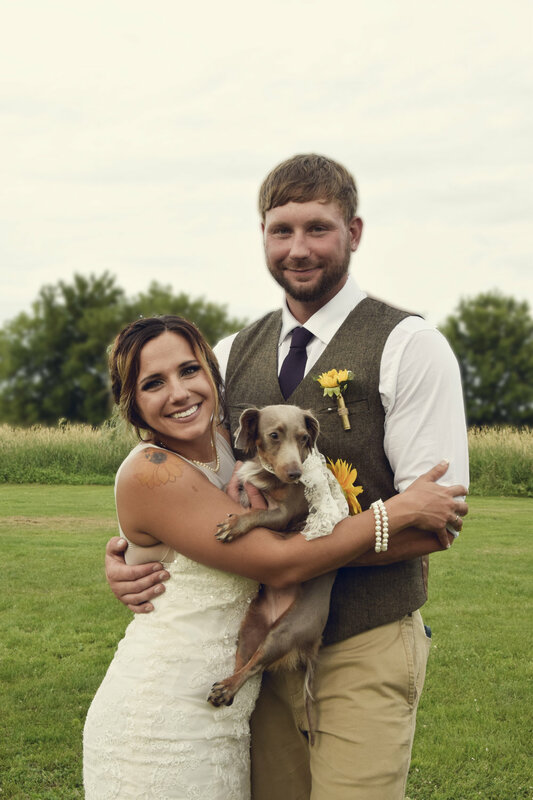 Even their dog, Gypsy, joined them to celebrate the union of her humans! 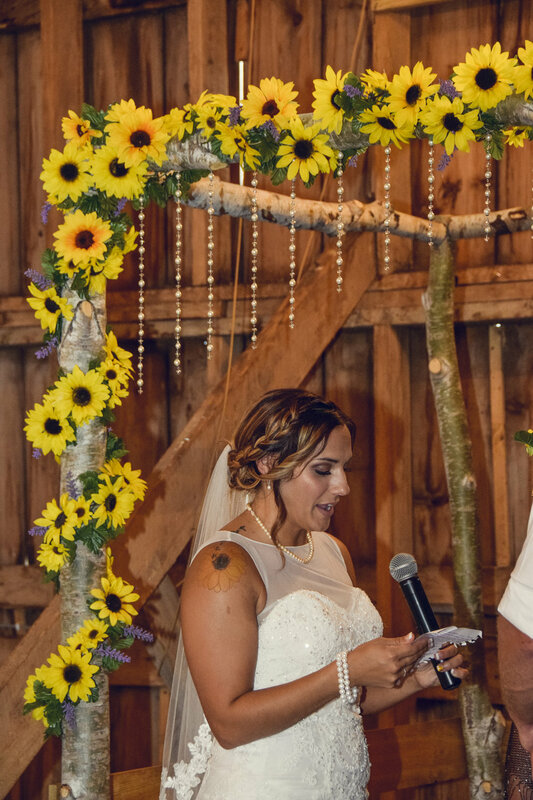 It was a beautiful, heartfelt ceremony and it ended with a gorgeous sparkler send-off. I was so honored to be there to capture and witness these two tying the knot! I feel so grateful to have gotten to know these them and I hope they allow me to capture many more beautiful moments for them as they begin their bright future together. To view the full gallery, click the link below! 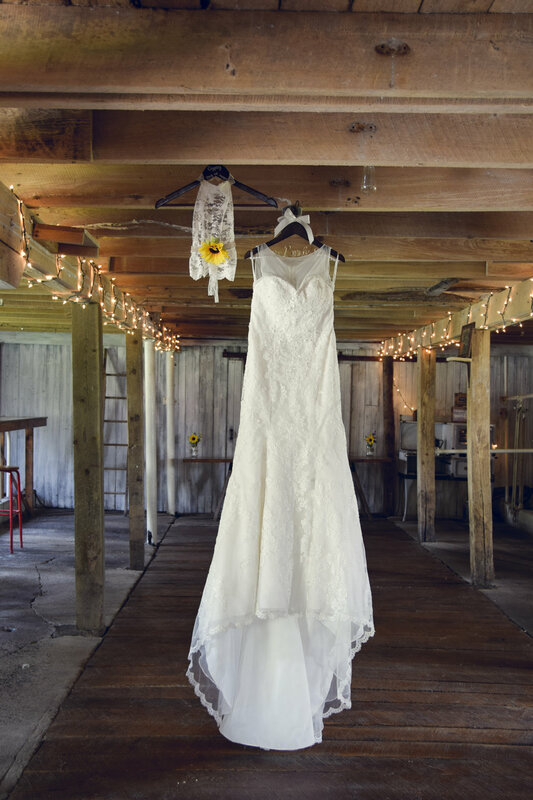 Most of their details (including flowers, hair, make up, decor and bouquets) were put together and made by hand (including Gypsy's dress)!